Join now to download them free! Made in Hollywood, California, U.S.A.
"Many small businesses, marketers and publicists want to get their products in celebrities' hands. This is the solution." "If you opt to pursue a celebrity or celebrities on your own, to use in your advertising, or get a "blurb" from for your book, etc. this is THE place to get contact information." "The best resource and a GREAT deal. They have everyone." "Contact Any Celebrity is a great resource and very easy to use." "Contact Any Celebrity is a rich source of contacts for testimonials and other relationships." 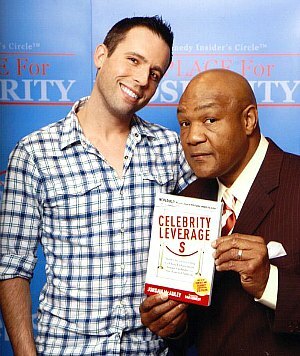 "We get much better results contacting celebrities now that we use Contact Any Celebrity. We get a high response rate, the owner is very helpful, and we feel we can recommend them." "Some of the best money you'll probably ever spend. Can you think of ways to use the information in this site to leverage your publicity opportunities? How about a hundred ways? I don't get a dime for promoting this. I just think it's an excellent value and provides you (and me) with great opportunities)." "I strongly suggest you try this service out when you need to get endorsements for your books or products. In case you are running a charity auction, you can even use this service to get autographed items for your fundraisers. Lots more uses too." "Of all the resources for celebrity addresses, this is far and away the most comprehensive and useful tool." 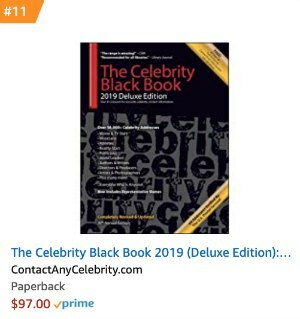 "Useful for authors who want positive quotes from celebrities to put on their book covers, fans seeking autographs, and charities looking for celebrity endorsements." "The best service for contacting a celebrity's agent, manager, publicist, or production company."